Every single day I get visitors to greenjersey who have googled “Van Der Velde” or Gavia 88. And why not as Johan was a very classy rider. This photo is from a Cycling Weekly of Christmas 2000 as part of a 36 page feature about Raleigh cycles. 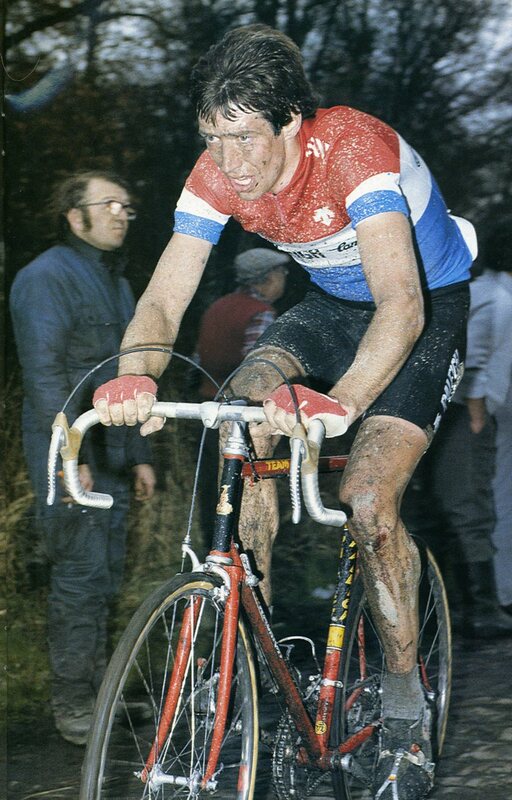 VDV was Dutch champion in 1980 and 1982 therefore this photo was taken in either 1981 or 1983. As always Johan makes no concessions to the weather.